Here you will find information that will help you handle all the necessary paperwork to come to Spain. If you are a British or Irish Citizen, you do not need a visa to enter Spain. Candidates from outside European Union should confirm the current entry requirements with their nearest Spanish embassy or consulate. Your passport must be valid for the proposed duration of your stay. No additional period of validity beyond this is required. However, it is always sensible to have a short period of extra validity on your passport in case of any unforeseen delays to your departure. You do not have to wait until your old passport expires to apply to renew it. 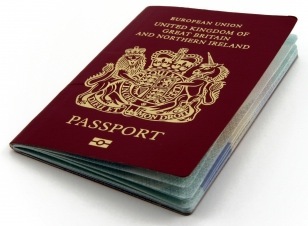 Any time left on your old passport when you apply will be added to your new passport, up to a maximum of nine months. All EU nationals planning to stay in Spain for more than three months must register in person at the nearest Office for Foreigners (Oficina de Extranjeros) which is normally part of the Town Hall (Ayuntamiento), or at designated Police stations. You will be asked to show a valid passport, complete an application form and pay a fee. You will be given a certificate stating your name, address, nationality, identity number (NIE – Número de Identificación de Extranjeros) and date of registration. This confirms you have registered as a resident but the certificate is not valid ID and you don’t have to keep it with you at all times.